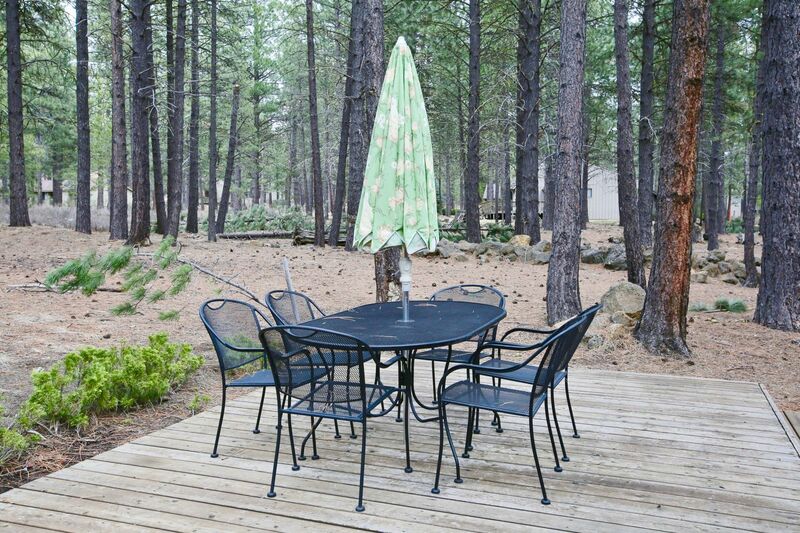 8 Leisure Lane is another one of our Sunriver rental homes located just a short 3 minute walk from the SHARC (Sunriver Homeowners Aquatic & Recreation Center). 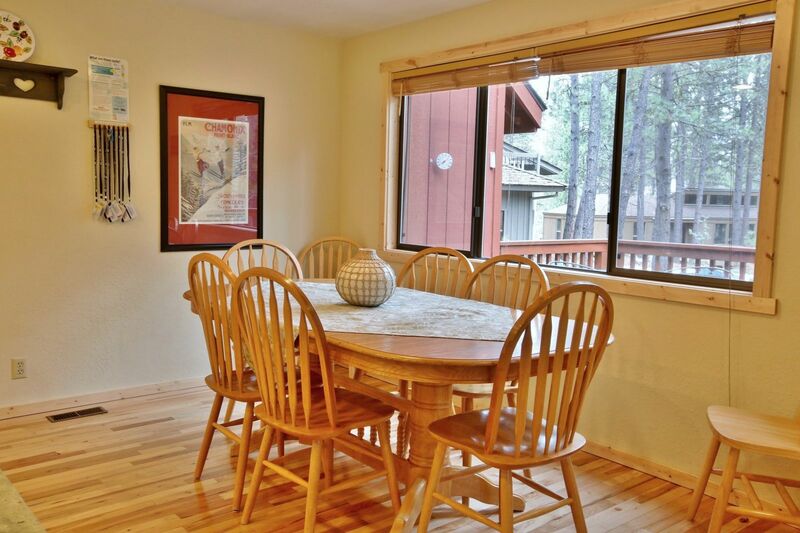 Rental of this home always includes UNLIMITED-USE passes to SHARC. 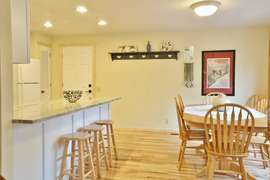 This light and bright home is a recently remodeled and updated 1800 square foot home with 3 bedroom + sleeping loft, and 2 baths. 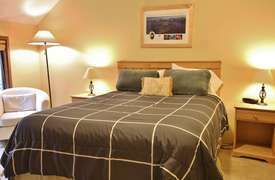 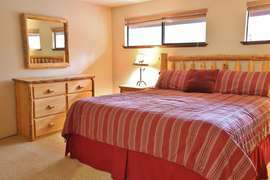 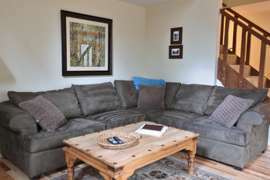 The home sleeps 10 guests and is located just a 3-5 minute walk from the SHARC and Sunriver Village Mall. 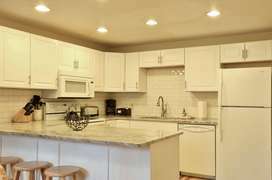 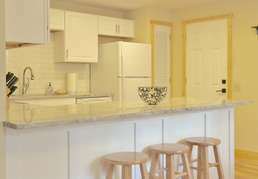 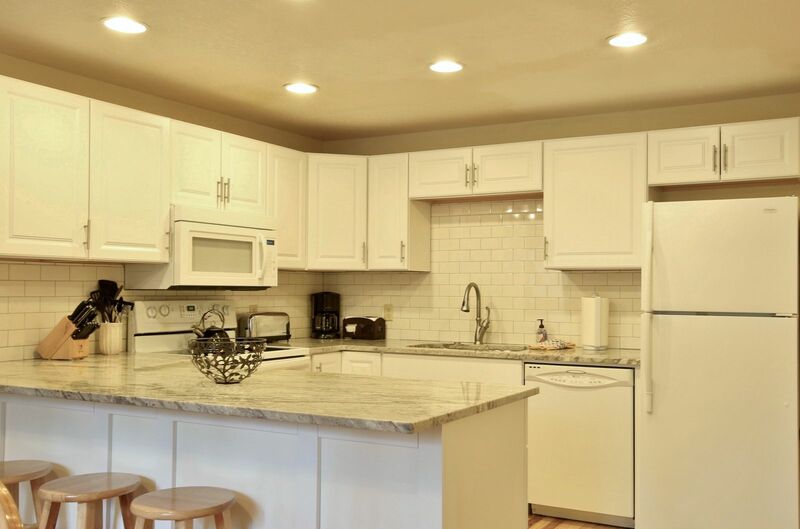 The kitchen in 8 Leisure Lane has been completely remodeled with bright white cabinets and light wood flooring. The bathrooms have been remodeled as well. 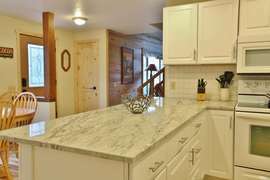 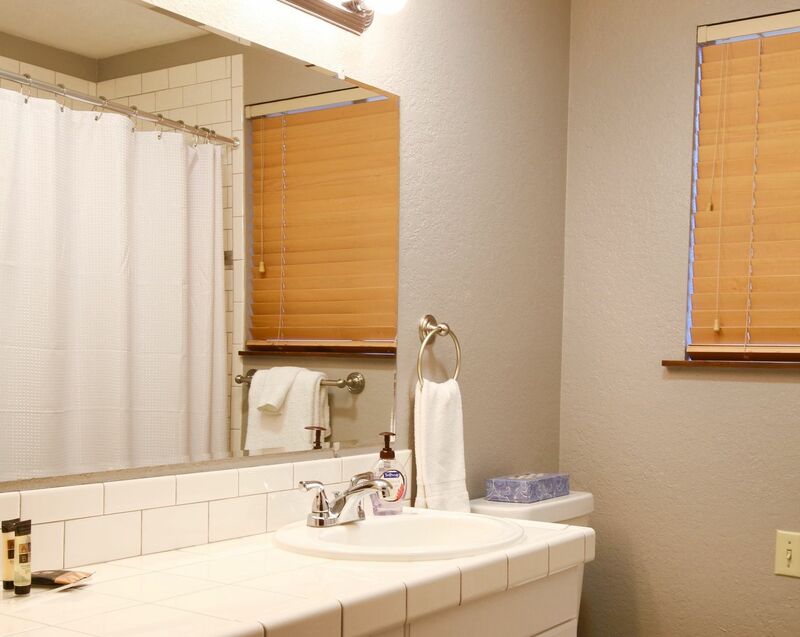 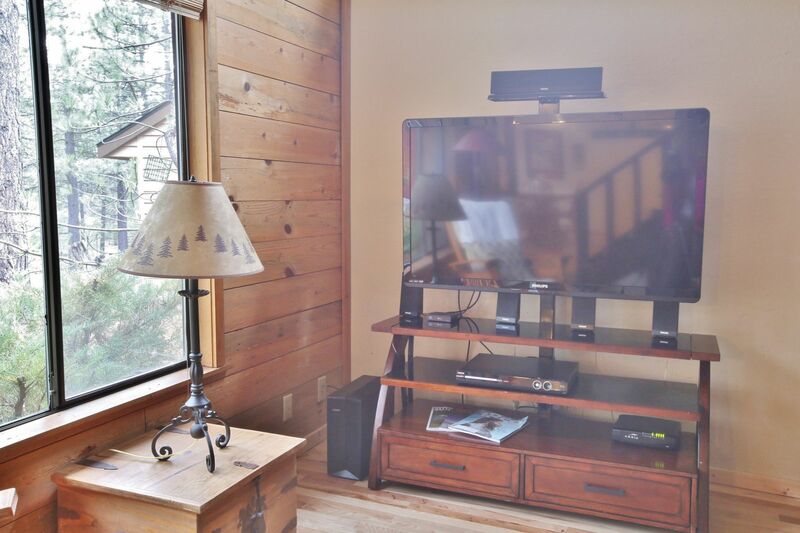 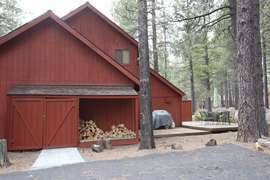 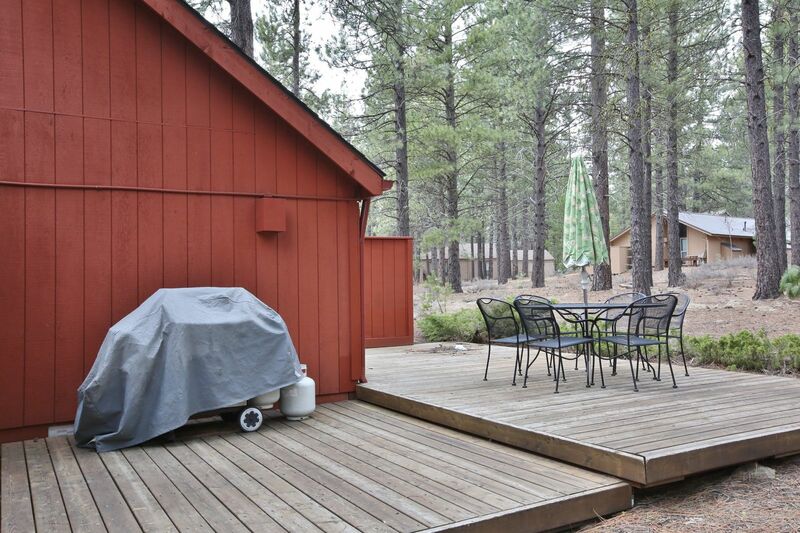 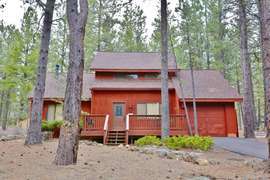 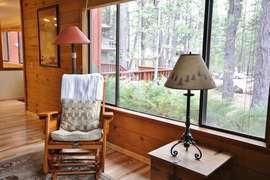 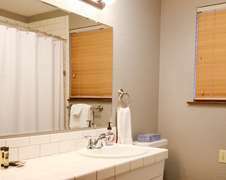 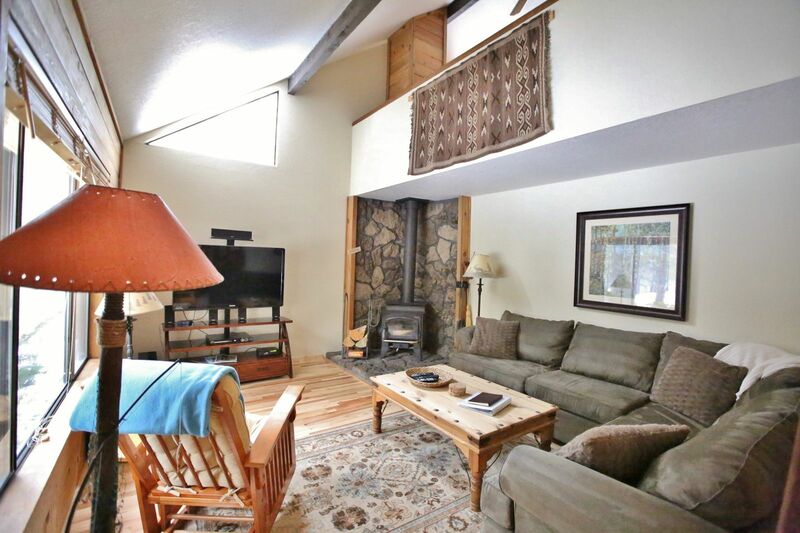 It is the perfect combination of a Sunriver cabin and an updated fresh home. 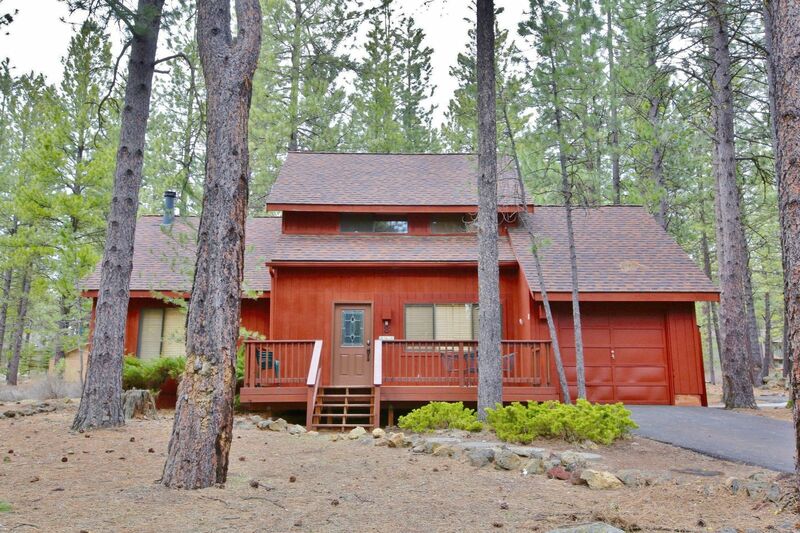 The home is located in a quiet area directly between SHARC and Fort Rock Park. 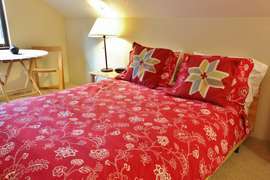 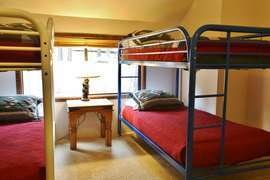 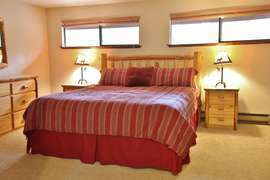 It is a quiet .25 walk or bike ride to either of those amenities. 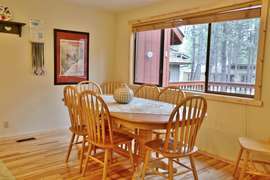 Unlimited-Use SHARC Passes for 8 guests are included with the rental of our home.The Village Mall is just beyond the SHARC (.5+/- walk from the home) where you will find shopping, entertainment, restaurants and day spa. Meadows Golf Course and Woodlands Golf Course are located on either side of the home. 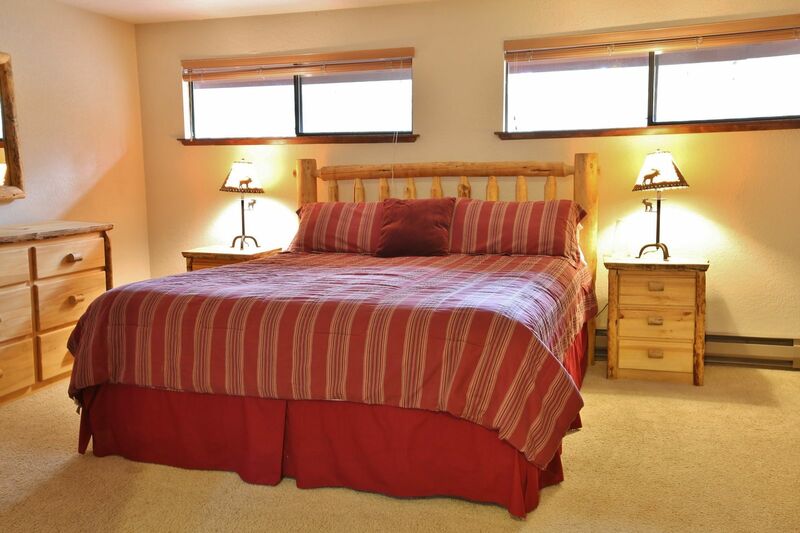 The home is 2 story with 3 bedrooms + an additional sleeping loft with queen bed, and 2 remodeled baths. The Master Suite is located upstairs and has a King bed and private bath. 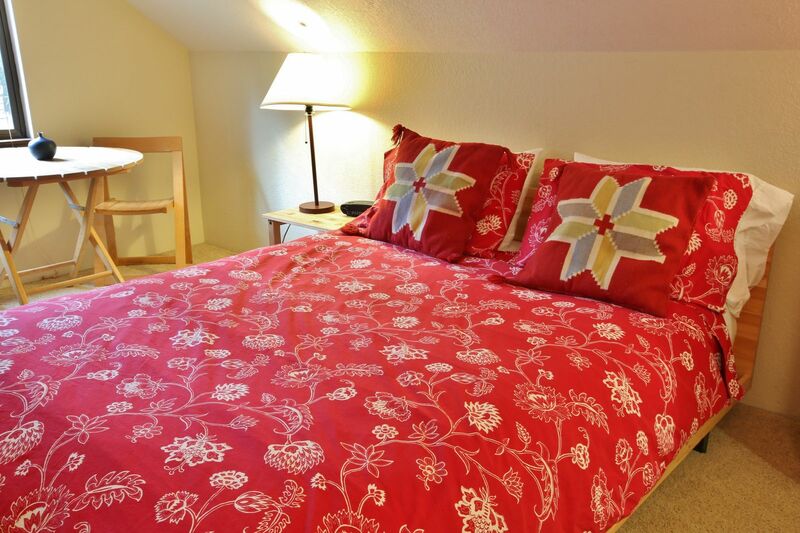 There is an additional sleeping loft upstairs, also. 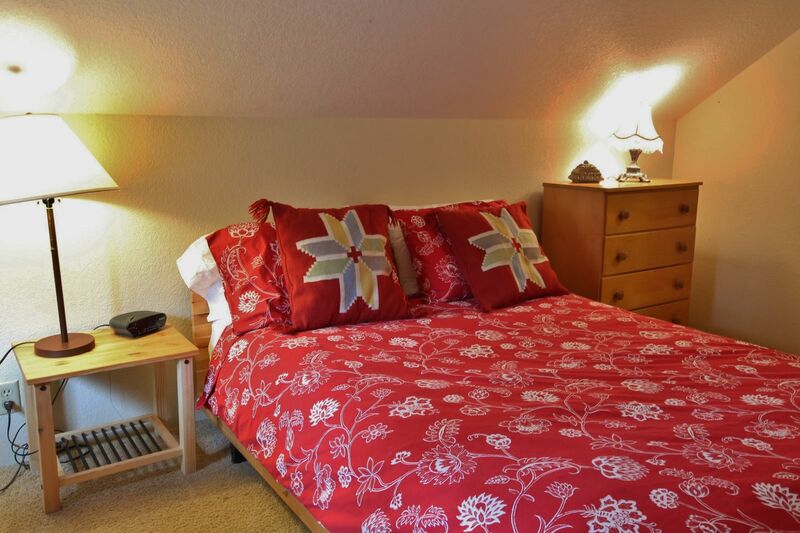 Downstairs there are 2 additional bedrooms. 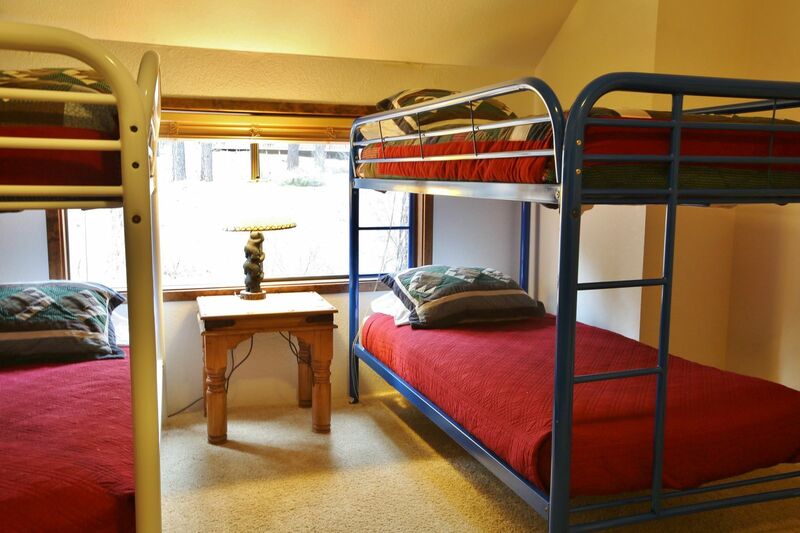 One has a Queen bed and the other has 2 sets of twin bunks (4 twins total). 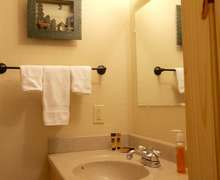 There is also a hall bathroom downstairs. 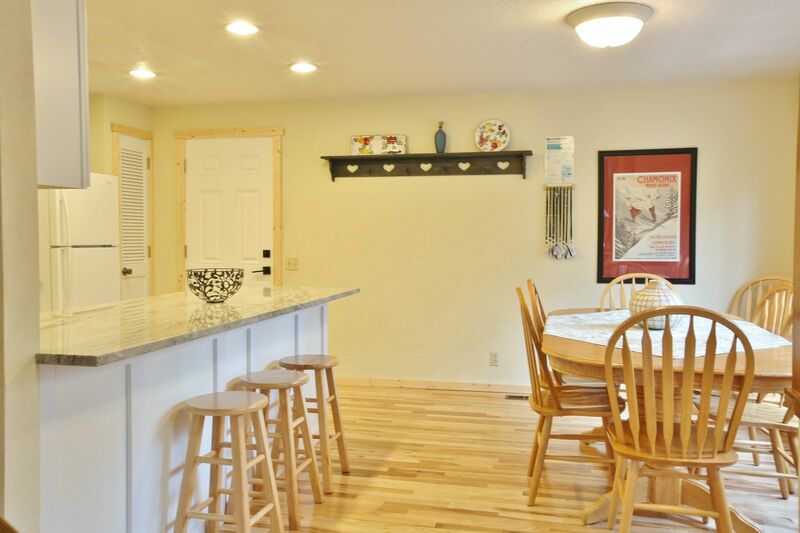 The kitchen, living, dining and laundry areas are also downstairs on the main level. 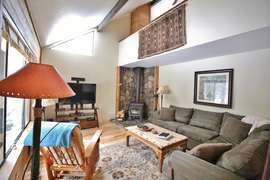 The living room has a TV & DVD player and a wood burning stove. 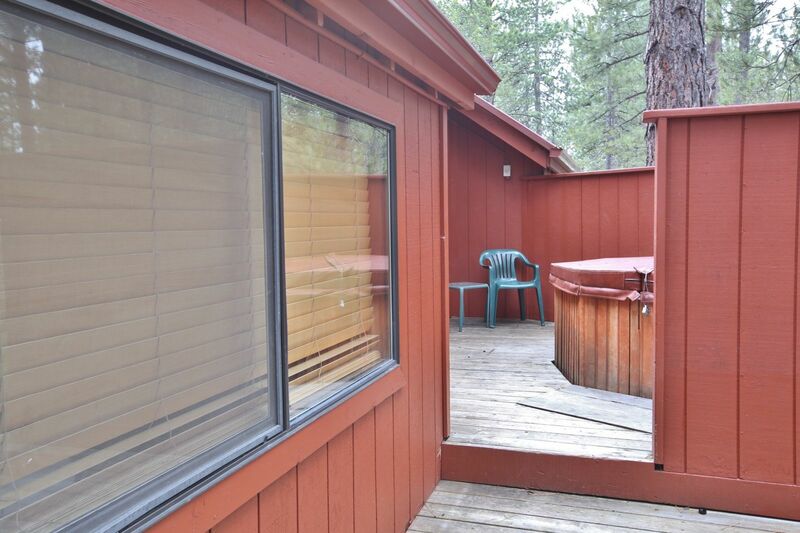 The back deck has a private hot tub, gas BBQ and patio table where you can relax & enjoy the outdoors. 4 adult bikes and 1 child's bike, please bring your own helmets.